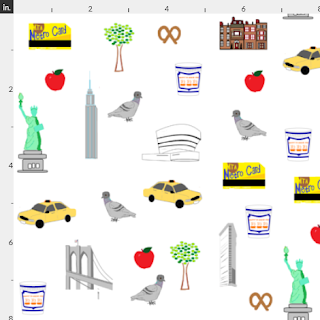 We're planning on using the yard of fabric we purchased as a backing for the NYC map pillows and as possibly the front of new NYC-themed pillows as a complement to the NYC map. These will be listed in the Etsy shop, or you can just order directly from Spoonflower to sew up your own! 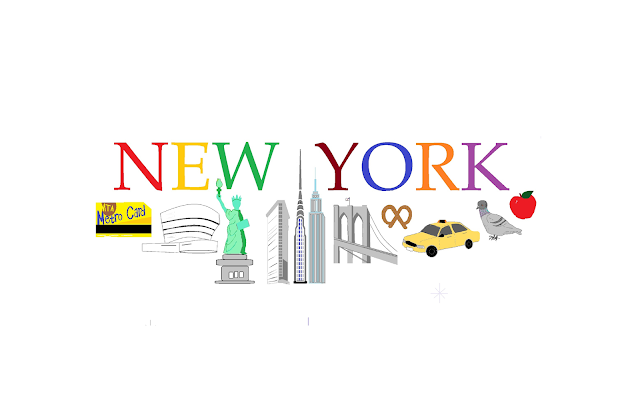 This version is version 20-ish from where we initially started. 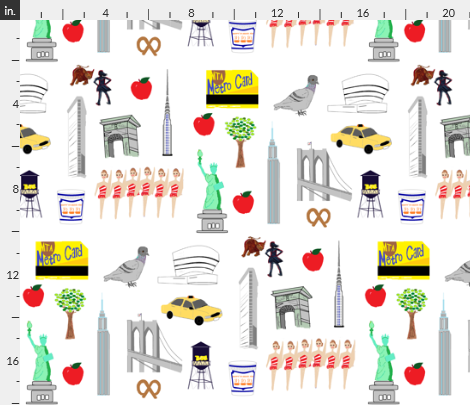 The fabric idea spawned from our NY card we designed for Etsy (see below). 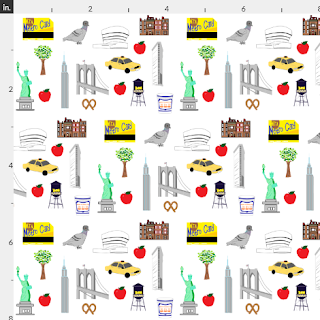 We were looking to add in Fearless Girl (the statue facing the Wall St. Bull) to the card design, but instead went a new route with fabric instead. 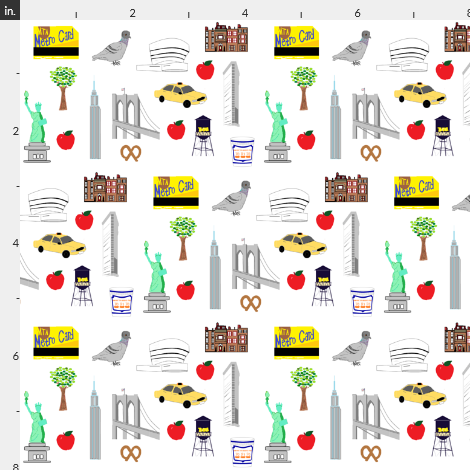 We ended up submitting this design as part of the Spoonflower cityscapes design challenge that recently ended. 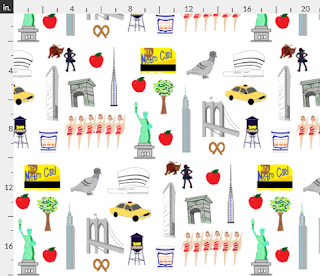 Winners will be announced on the blog June 1 so we'll let you know how well we did in the contest - stay tuned!